Visitors and Keys residents are invited to welcome the festive season and celebrate the creative arts at the free-admission Big Pine & Lower Keys Island Art Festival. Scheduled highlights include exhibits and booths featuring handcrafted art, jewelry, craft items and other creations by local artisans. Also features live music by favorite local entertainers, as well as food and beverages offered by on-site vendors. 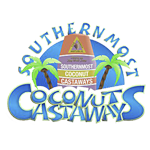 Please contact volunteers@southernmostcoconutcastaways.com for more information or to volunteer.